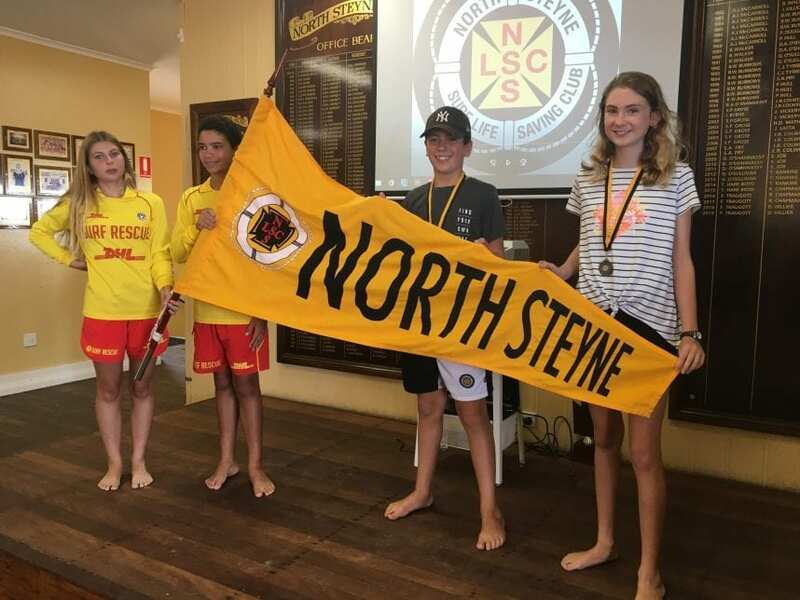 North Steyne Nippers wrapped up a great season 2018-19 with our presentation day on 10 March. This season’s Nippers Chairman’s Award winners, Kaea Phillips and Oliver Crofton were thrilled to receive a new bike each as prizes thanks to Andrew Taylor of Brookvale Bikes. Competitor’s awards went to Alana Kasalo and Kye Kearney for great performances and carnival success. Our favourite award, the ‘No Guts No Glory’ trophy went jointly to Blake Wilson and Lachlan Gray, who were both dumped by big waves and were transported by ambulance to hospital as a precautionary measure – thankfully they were not injured and came straight back to Nippers on the following week-end went straight back into the water. We farewelled our U14 Nippers and SRC group, led by Junior Club Captains, Caitlin Heffernan and Ethan Brocklehurst, and welcomed our Junior Club Captains for 2019-2020, Greer Mason and Blake Wilson. This season we saw carnival participation and enrolments increase and continued strong attendance at our regular Sunday Nippers and special needs Ripper Nippers program. We also saw further development of our strong competition culture, with sustained attendance at our regular additional training sessions for beach races and boards. We can’t wait to get back for next season!